It is not as easy as you think to recognize that the person that is the closest to you is an alcoholic. To actually get to grips with the situation in which your partner’s drinking problem comes to light can be as stressful for you as it is for your partner admitting to his alcoholism. The first step is looking for patterns in their drinking habits. Do they drink every day? Every weekend? Only on Sundays? Do they drink because the kids were screaming all day? Is their job particularly stressful that day? As we all know, an occasional social drink and drinking to forget a stressful situation are two separate entities. Someone who is clearly drinking to relieve stress is to be considered a potential alcoholic. If your spouse is consistently having to have a few drinks after work just to relax, most likely they are having alcohol dependency problems. One of the sadder aspects of this disease is how it affects the whole family in general, as an alcoholic will avoid all his family commitments. If you feel that the financial burden is falling upon you and that your partner is not responding, then should just try and work out how much of the family budget is being diverted to alcohol. Alcoholism doesn’t only affect the person experiencing it but the individuals who are surrounding him as well. Having a member of the family who’s under the power of alcohol is not easy especially if he’s your spouse. You can’t force him to stop even if you are his wife. The best way to deal with it is via therapeutic communication. 1. Always bear in mind that your spouse has become a slave to alcohol. It’s a craving he can’t stop without help. According to the National Institute on Alcohol Abuse and Alcoholism, alcoholics need to drink alcohol as they need to drink water. Understanding your husband’s situation is the key to a successful intervention. 2. Be honest about your spouse’s condition. Don’t cover up his/her weaknesses to other people. Do not let one draw the conclusion that you support him/her in his/her addiction. Let your partner face the results of his/her actions. This will help him/her realize that he/she has a problem. 3. Tell your partner how his/her drinking problem affects you and your relationship. Tell him/her about how you feel about it. Do this when your partner is sober. Always assure him/her that you care so much for him/her that is why you are telling this to him/her. 4. Motivate your spouse to receive treatment. After explaining about the positive results of the treatment process, ask him/her if he/she wants to seek help. Your spouse could meet with a counselor or he/she could be admitted in any alcohol rehab centers near you. Talk to a self-help group like Alcoholic Anonymous which could help your partner in his/her journey to recovery. 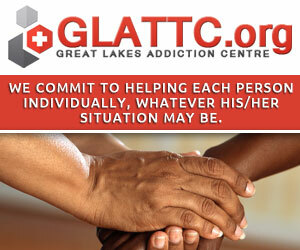 This could help one remain sober through the aid of people who have the same experiences. 5. Visit a psychologist to aid you in the recovery from mental or physical abuse that your alcoholic spouse has given you. Do this even if your partner isn’t receiving treatment. It will help you cope with the stressful situation you are now and help you communicate effectively to your partner. 6. To know what your partner is going through is to attend Alcoholic Anonymous or go to alcohol rehabilitation centers. You will listen to the experiences of alcoholics about what they feel thus giving you a clearer picture of what your partner is experiencing. 7. Give yourself a break. Do not let your spouse’s alcoholism hinder you from being happy. Go out and enjoy the company of your loved ones and friends. You can do outreach programs or perhaps help your community in a project. Do not concentrate on your stressful situation. 1.Becoming unsociable. Heavy drinkers are not generally social consumers; rather, they want to drink alone. The general population who are living with a heavy drinker would in some cases see that the desire to drink has turned out to be strong to the point that the alcoholic thinks that it’s difficult to center or consider whatever else. Truth be told, they may abstain from hanging out with family and companions unless the occasion or festivity really includes liquor. 2. Changes in appearance and wellbeing. When living with a heavy drinker you should recall that liquor is a medication and for drunkards, the cerebrum winds up plainly subject to the medication after some time. As the yearnings propel nausea, tremors, touchiness, loss of coordination and other physical alcoholic symptoms may happen. The eyes can end up plainly indented and red-rimmed while the skin can end up noticeably pallid and can include dry layered patches. Numerous heavy drinkers will lose a lot of weight. Heavy drinkers additionally tend to disregard their physical appearance and may have shaggy whiskers, raggedy hair and wear crumpled ill-fitting cloth. 3. Dangerous practices. As the illness advances, you can see changes in the conduct of somebody in the holds of a liquor abuse. These adjustments in conduct are certain indications of liquor abuse. 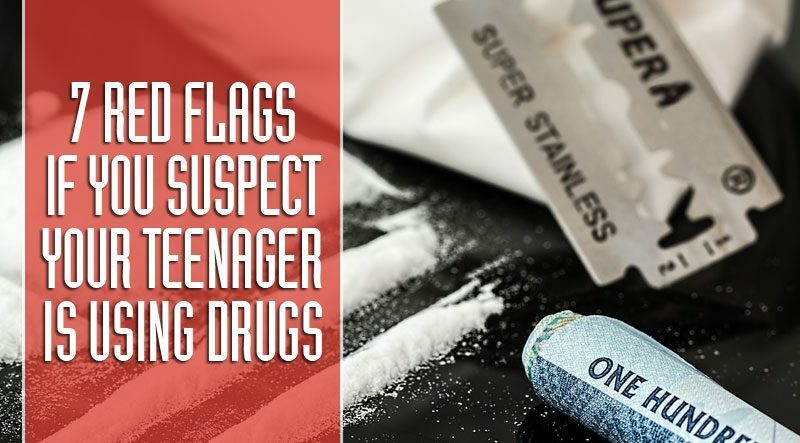 They may get behind the wheel of a car while under the influence even when they are dealing with legal consequences; they may neglect to appear to work or get the children from school and will regularly not have a substantial purpose behind their nonattendance. 4. Loss of memory. This is one of the propelled indications of liquor addiction. When drinking a lot of liquor, somebody with a liquor habit can end up noticeably oblivious and will frequently wake up with no thought of what they did. Some may recollect their activities yet feel remorseful or remorseful over what their fixation on liquor drives them to do. While under the grasp of the medication, a heavy drinker’s identity can change, making them turn out to be verbally or physically forceful. As a business owner or supervisor, you should have the ability to identify people subtly. At times you’ll find dealing with many different employee personalities can be chaotic. Even more so, being busy with so many daily tasks you may be missing the warning signs of substance abuse by one of your workers. Let’s be positive and bring some clarity to this. If you suspect an employee of substance abuse, find out what led you to such a thoughts? 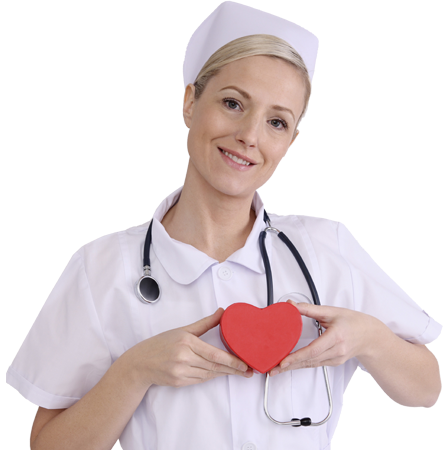 On a close check, you may find issues such as absenteeism, risky behavior, unusual physical signs, etc. Below are ways to tell if your employee has a substance abuse problem. Healthy employees, both bodily and mentally fit, are a boon to your business because of their performance at work. A healthy employee abides by the employee code of behavior set by the company. However, everything goes astray once your employee’s overall performance fades. You might be upset at such a drop in production and would be forced to take it with more caution. The employee who was reliable is now a late-comer, remains absent for many days or leaves earlier, takes long breaks for taking meals, likes staying alone, cannot concentrate on work, makes wrong judgments. All this leads to a drastic drop in production – a warning sign of drug and substance abuse. ii) Increased and unreasonable absenteeism. An employee stays away from the workplace in a day or during a shift, and you do not get a reasonable explanation for it. The employee fails to account for his character because his general temperament becomes unpredictable; may lie to the supervisors and reply awkwardly; finds fault with others including his/her spouse. Such unusual practice should lead you to suspicion of drug and substance abuse. iii) Engaged in risky behavior. Another sign is that the worker becomes highly annoying, disregards social habits in the amity of co-employees as well as at work; ignores safety measures; tends to be risky being reckless while at work and therefore endangering the life of all. He accuses co-workers and superiors of frustration or problems at the workplace. iv) Keeping a distance other workers. Substance abusing employee distance himself co-workers. Puts justifications in the case of failure on any count – be it work or home. This is because the recent changes might be recognized by others for which he feels embarrassed. The general personal behavior becomes awkward. It is a caution sign of substance abuse on the first sight as you find it entirely different from what you had seen earlier. v) Lack of Personal Care. Substance abusing employee suddenly starts quarreling, scolding and shouting at others. He neglects personal cleanliness, the dress code at a workplace. There is a drastic drop in body weight because of loss of appetite. Personal grooming is poor. He becomes tired of the effect of drug desists. When an employee secretly drinks alcohol, he/she may have developed a dependency on the substance. Individuals who don’t want their employers to know about their alcohol consumption may be afraid of being confronted or criticized. Usually, alcoholics deny their alcohol issue and will always have reasons and excuses to justify their actions. An employee may be struggling with drug addiction, and the first thing he does when he wakes up is to take drugs. He may have reasons for this action such as to calm his nerves, to manage pain and alleviate shakiness. 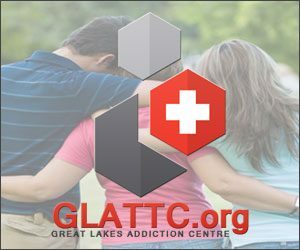 Some inpatient drug and substance rehabilitation specialists say that if someone consumes drugs regularly, he/she will acquire a tolerance which results in the need to consume more drugs to feel the same effect. When not able to consume, the drug user may undergo withdrawal. When people secretly drink alcohol, they may have developed a dependency on the substance. Employees who don’t want their employers to know about their drug consumption may be afraid of being confronted or criticized. Usually, substance users deny their issue and will always have reasons and excuses to justify their actions. When you mark these symptom(s), you ought to be proactive. Ask your human resources managers and take the required measures immediately. We would recommend insisting on the suspected employee taking and required to pass a hair drug test. This is crucial as apart from affecting the performance of the individual employees; it is likely to bring out in its wake some legal, health, financial associations and a decrease in the profitability and repute of your company in the business world.